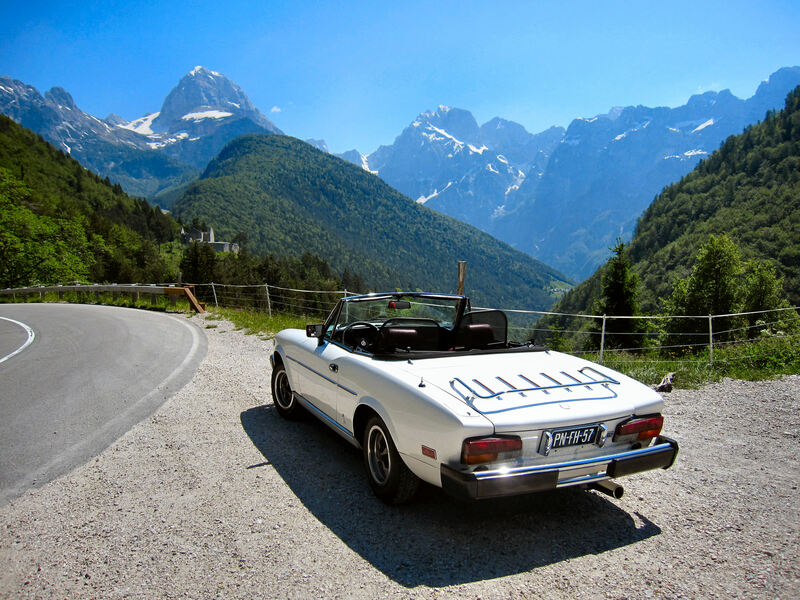 FIAT 124 SPIDER - SPIDERSWEB.NL -: Lampredi: " Engines don't drink, they breathe "
Lampredi: " Engines don't drink, they breathe "
Aurelio Lampredi ( 1917 - 1989 ) was very tall for an Italian. He dressed with the expensive casualness of an English country gentleman. When he talked to you, he drew with a wet felt-tip as if his mind could not work without the fluent movement of his fingers. He was, by his own admission, one of the three men most responsible for the car you drove in the last decades (the others being Ferdinand Porsche and Colin Chapman). When he went to work for Ferrari in 1946 all unblown racing engines gave about 50 bhp per litre. And in races of 500 kilometers most of them exploded. Yet within a couple of years he increased Ferrari's output to 100 bhp per litre. And they finished every race. First. 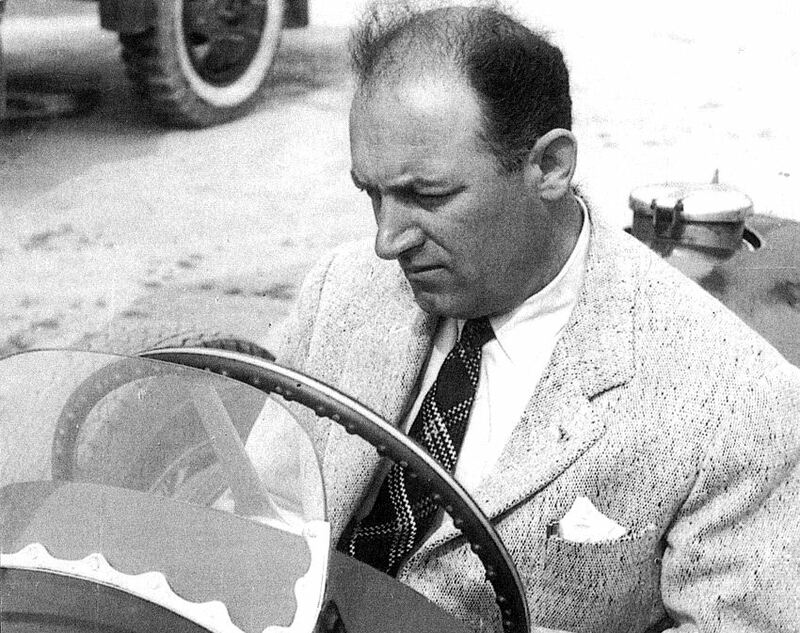 He was applying the principles he'd learned earlier in his life when designing aero engines at Piaggio and Isotta Fraschini (trying to push as much oxygen in as possible and building them so they finish every flight or journey). He concentrated on improving the airflow into the engine rather than streamlining the body shells as everyone was doing. "When an athlete's short of breath, he's short of strength", he says. Thus he made the ducts inside the manifold and cylinder head more aerodynamic, so they breathed better. He also redesigned the exhaust system. The faster the exhaust gasses can get out, the faster fresh oxygen can get in. His idea was the double exhaust system, connected in pairs, and turned like a trumpet to match the inlet. A system still used on all racing cars, Ferraris, Fiats and Lancias at that time and during the following 30 years. In 1955 he got the opportunity to see if his principles worked on the production line when he moved to Fiat. They worked beyond all their hopes, increasing the output of their engines by no less than 18 bhp. And because they were turning over more efficiently, they lasted longer: an average of 150,000 kms. 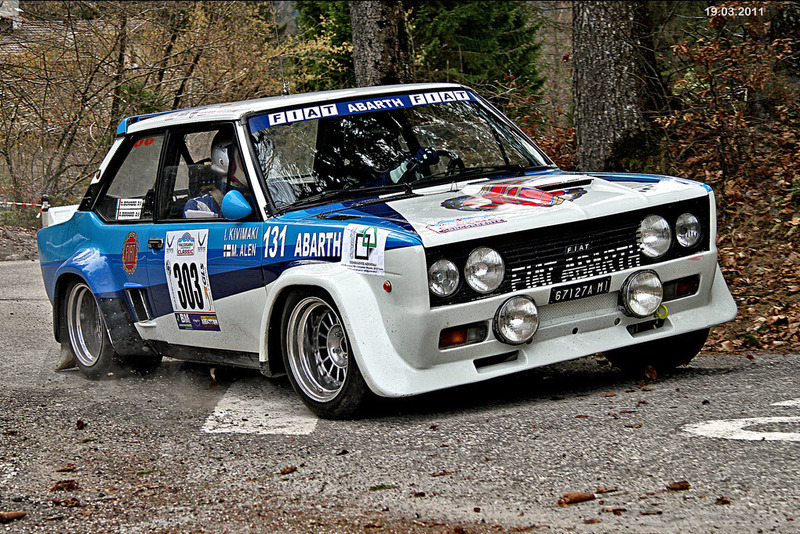 Among the many engines he designed from scratch the Fiat 130, the Mirafiori Abarth two litre (World Rally Champion three times) and the 127 Diesel. An early innovation of his was the 124 engine with double overhead camshafts and a timing belt instead of chains. He subsequently increased this unique engine to 1600, 1800 and 2000 cc's, then used it as the model for the revolutionary 128 engine with a single overhead camshaft and a toothed timing belt. To this day, many years later, no one has designed a better engine. 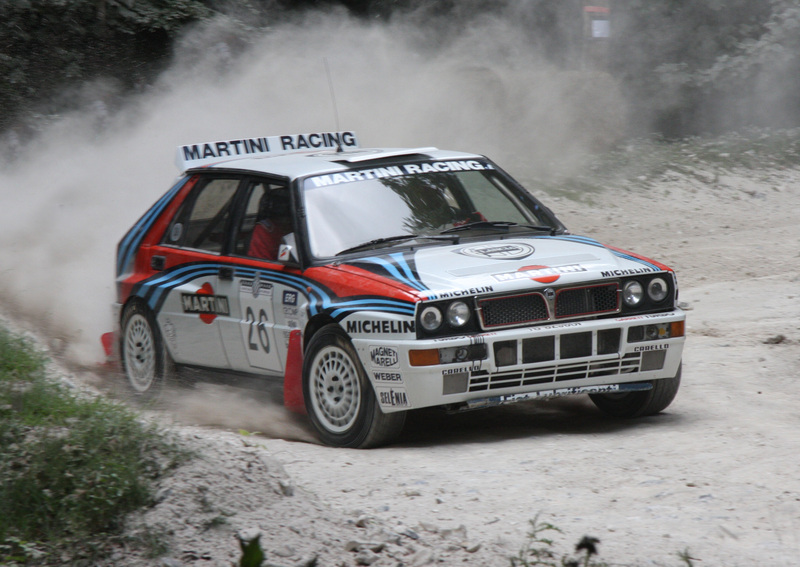 Enlarged it also powered the Strada and the Lancia Delta. This kindly giant of a man who originally wanted to be a conductor and still loving the symphonies of the great romantics pondered on the future of the internal combustion engine. Meanwhile he has designed a remarkably quiet, small diesel engine for the Strada. 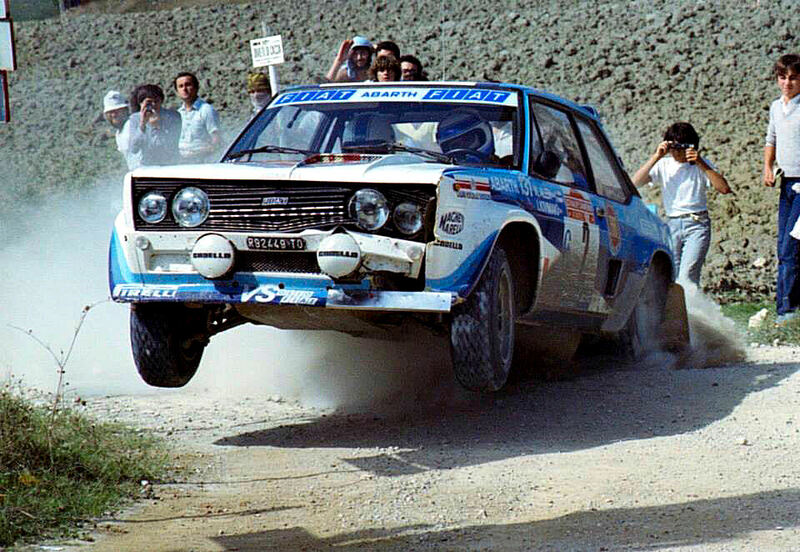 He has blown a series of Fiat 131 to give 130 bhp while respecting all pollution regulations and improving consumption and torque by 35%. 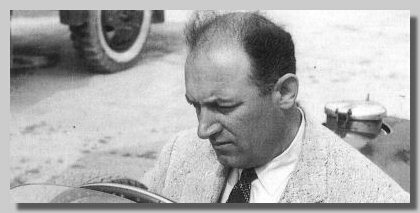 Aurelio Lampredi was the man largely responsible for the engine of most cars in the seventies, eighties and nineties of the former century.